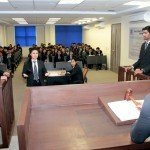 Moot Court is an integral aspect of law student life and the lessons learn by participation in Moot Court helps the student to stand tall in the real Court when they enter the profession. 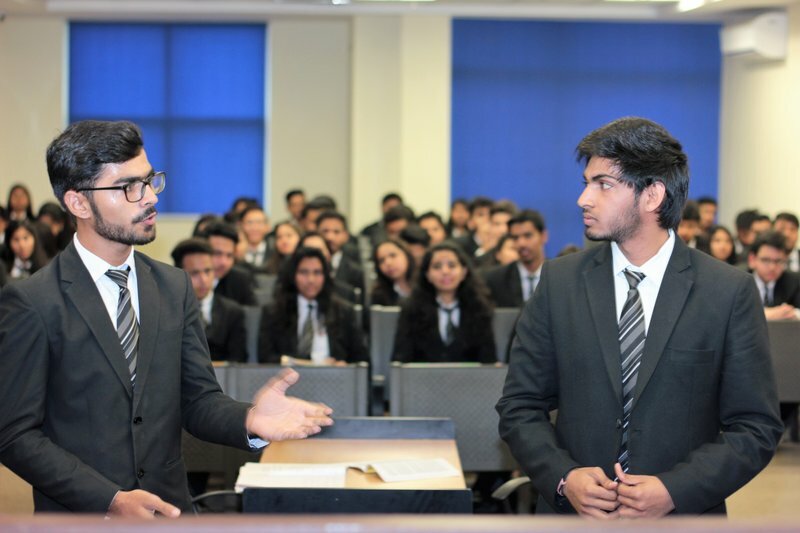 Moot Court is indispensable part of legal education and the participation in Moot court is a mandatory requirement of Bar Council of India (BCI) in regular BA LLB and LLB Course. Asian Law College believes in the holistic development of students not only in academic front but also on practical aspects. 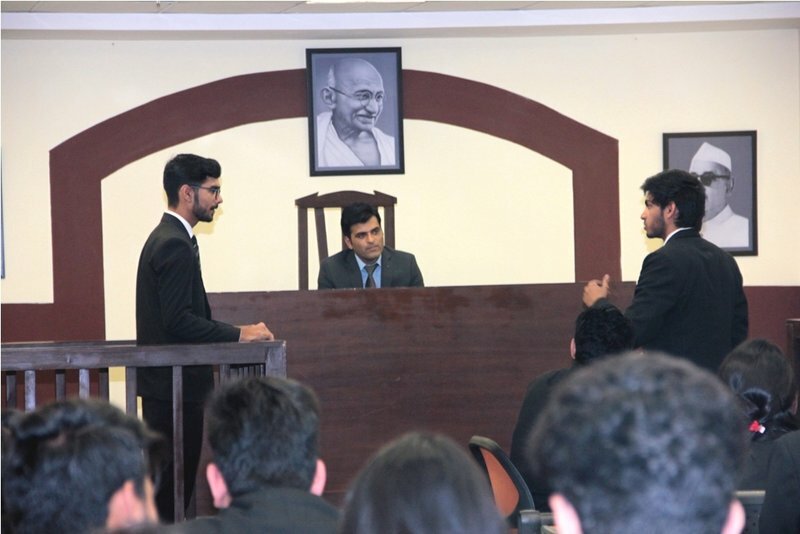 ALC has a separate functional Moot court Society consisting of students and faculty member as mentor of the students wherein the minute detail of mooting is taught to students. 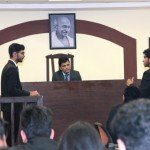 The society is actively engaged in conducting Moot courts at national and international level. 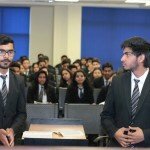 The students of ALC are made to interact with practicing advocates of Supreme Court High courts and District court under the aegis of this society in order to motivate them and make them understand the vital contribution which is being made to the professional life of Advocate by participation in moot court at college level. ALC has a separate Moot Court Hall which is equipped with all the required infrastructure for conduction of Moot Court competition. The ambience of ALC Moot Court hall which has in-housed books, bare acts, commentaries, properly arranged podiums, Statue of lady Justice, images of preamble of Constitution etc. 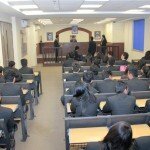 is itself an important factor which encourages the students to participate in the Moot Court. 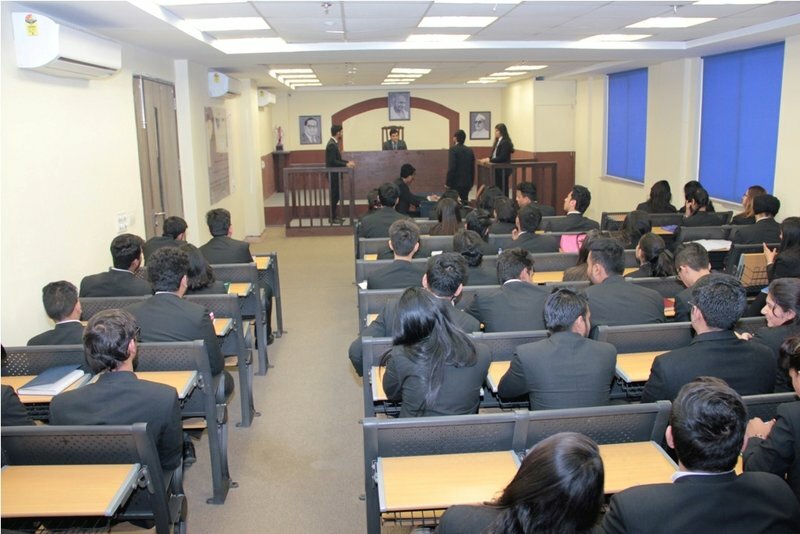 The Moot Court society at ALC has the onus of informing the prospective students of ALC with regard to upcoming moot court competitions in the country and then the students are trained hard by the faculties for the same. 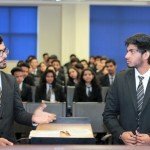 The society also has collaboration with various other law colleges to keep pace with the modern development and technique in the area of mooting. At ALC the students right from the inception of their professional journey irrespective of the duration i.e. five years in case of BA LLB or three years in case of LLB are made to witness moot court in order to develop their interest and to train them for pleading in courtroom. 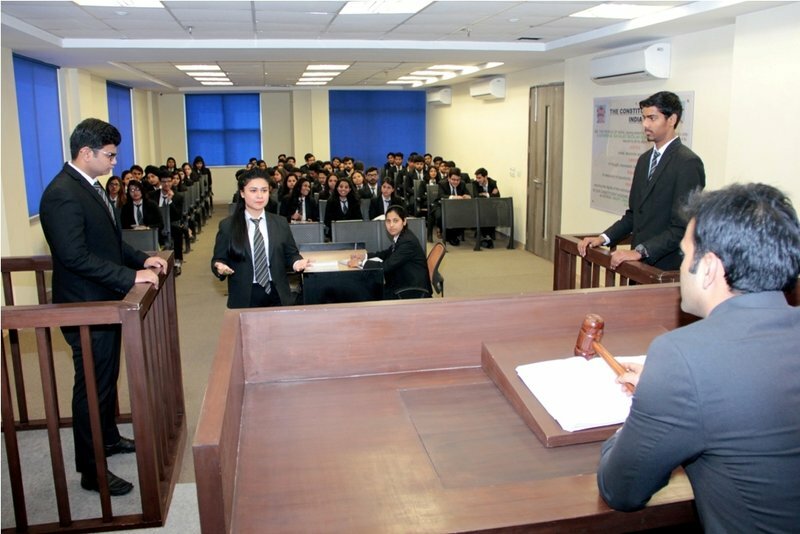 There are a number of Students at ALC who are avid Mooters and have received laurels at various Moot court competitions. 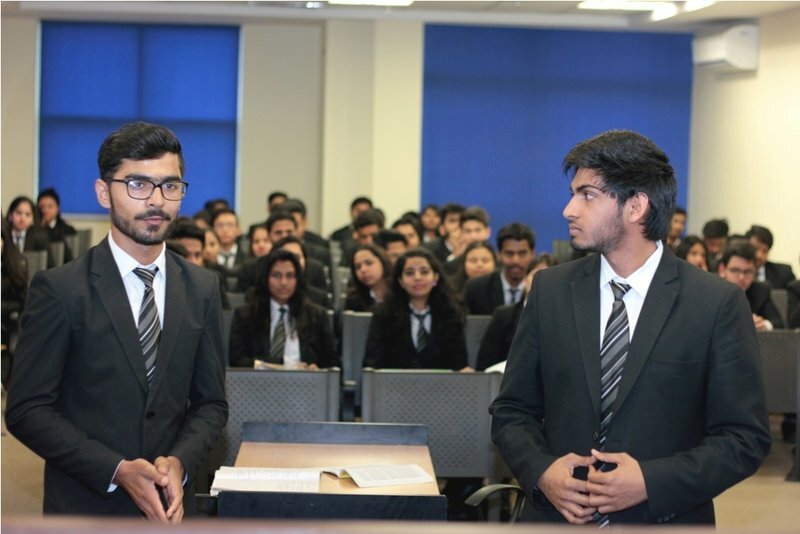 The Moot Court skills are further enhanced when the students of ALC are associated with practicing advocates and judges during their internship where the students get the firsthand experience of theoretical knowledge.